I’m delighted to announce that I’ve released Dying for Rome: Lucretia’s Tale, the first story in a new collection entitled Short Tales of Ancient Rome, in which I retell the legends and history of Rome from a fresh perspective. Dying for Rome: Lucretia’s Tale retells the historic story of the tragic girl whose death inspired the men of Rome to rise up against a tyrant king and establish the Roman Republic. Was she a victim or a champion? A pawn in political schemes or the catalyst for rebellion? In this vivid short story, I explore Lucretia’s character to reveal a tender portrait of a young girl misused by men who transforms into a woman with a passion for justice. The dramatic stories of dark deeds, love and power surrounding the foundation of Rome are hard to resist. 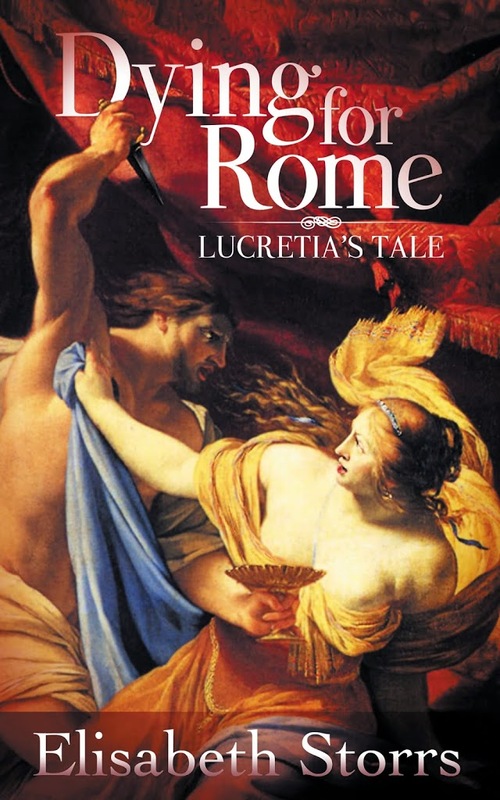 In fact, I was inspired to write Lucretia’s Tale after the interest shown by readers in my blog post, Dying for Rome. What particularly intrigues me is that significant political change against oppressive rulers often eventuated as the response to the unjust death of a woman. As such, the death of the ravaged and self-sacrificing Lucretia is depicted by Roman historians as being the spur for revolution. Lucretia is not seen as an instigator of reform in her own right. In Lucretia’s Tale, I have tried to explore the woman behind the legend. As you know, I’m a mad Etruscophile, so it was difficult for me to write a story where the Etruscans are cast as the villains. In the legend, Lucretia is raped by Sextus, the son of the last Etruscan king of Rome, Tarquin the Proud. People often mistakenly assume that the Etruscans conquered Rome given the existence of the three Etruscan monarchs. In fact these men ruled over the Romans through political maneuvering at a time when aristocrats migrating between different city states managed to gain supreme office through elections. To my mind, the Tarquinian royal family are probably painted blacker by Roman historians than they might have been. After all, it was during their reign that Rome changed from being a collection of mud huts in a swamp into a well drained city with famous landmarks such as the Circus Maximus and the Great Temple of Jupiter on the Capitol Hill. Alas, history is written by the victors so we’ll never know what the Etruscan rulers were truly like. Accordingly, until such time as evidence emerges to counter the “bad press,” the expulsion of the Tarquins will continue to be heralded as one of the most successful rebellions of the ancient world. To celebrate the release of Dying for Rome: Lucretia’s Tale, subscribers to my newsletter can obtain a FREE copy. I hope you’ll take advantage of my offer. Otherwise, you’ll find a copy on all major digital retail sites including at Amazon.